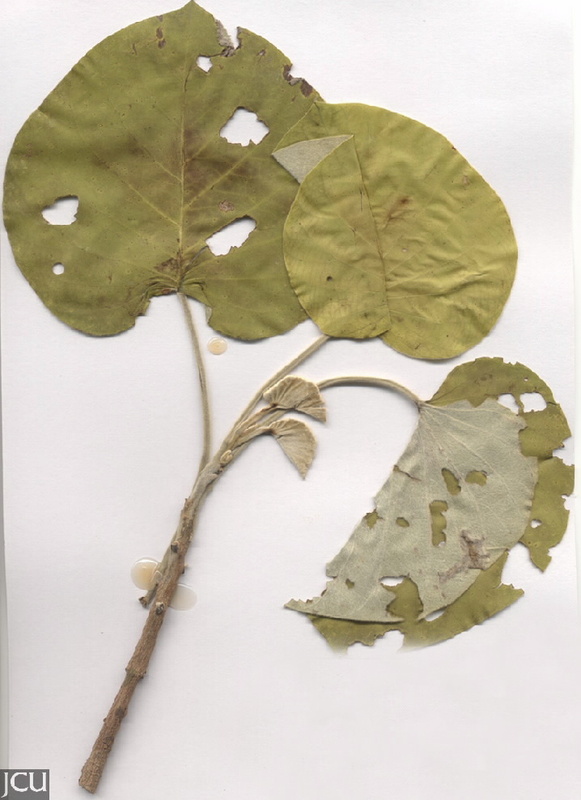 Leaves leathery, heart-shaped, size varies with age and conditions, lower surface and stems white with woolly hairs. 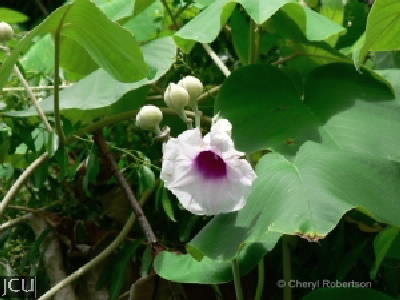 Flowers in clusters, funnel-shaped to 5 cm diameter, corolla mauve. Capsule globular, sepals persistent woody. Seeds are toxic.